Set on the fourth floor of the prestigious Sterling Mansions, Goodman's Field Quarter on Leman Street, this larger than average two bedroom apartment is extremely well-presented. The apartment is very bright with a contemporary finish, under flooring heating throughout and a walk in wardrobe in the master bedroom. 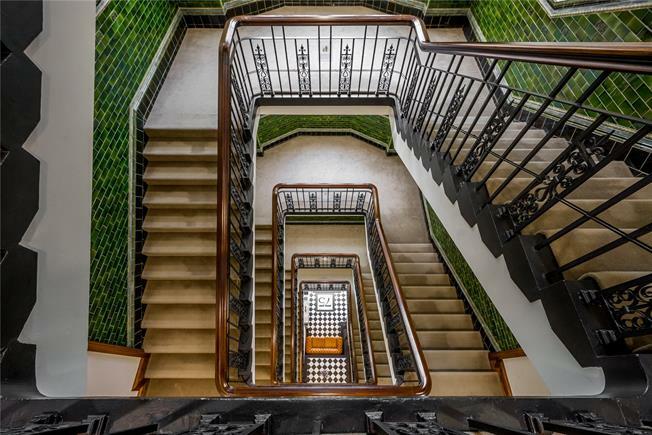 The beautiful art nouveau period features within the communal parts sets Sterling Mansions apart from other local apartment blocks. The development will offer residents many additional features such as 24/7 concierge, Private Health Club with Swimming pool, Gym and Spa, Residents' Private Cinema, Business Lounge and Winter gardens, making it the ideal home or pied-a-terre for the discerning City worker and the development has a strong history of making superb rental investments. The apartment is located moments from both Aldgate (Metropolitan and Circle line) and Aldgate East (Hammersmith & City and District line) tube stations, and is also a short distance to the DLR at Tower Hill, providing excellent transport links to anywhere in London or Canary Wharf. The shops, bars and restaurants in the City, Spitalfileds and Wapping are all within easy reach, and the apartment is perfectly situated for anyone wanting a short walk to work in the Square Mile.